FreeBSD is a Unix-like operating system descended from AT&T UNIX via BSD UNIX. 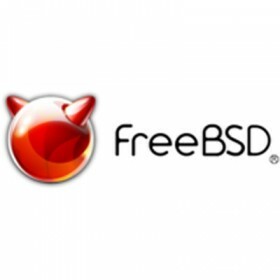 Although for legal reasons FreeBSD cannot be called "UNIX", as the direct descendant of BSD UNIX (many of whose original developers became FreeBSD developers), FreeBSD's internals and system APIs are UNIX-compliant. Thanks to its permissive licensing terms, much of FreeBSD’s code base has become an integral part of other operating systems such as Apple's OS X that have subsequently been certified as UNIX-compliant and have formally received UNIX branding. With the exception of the proprietary OS X, FreeBSD is the most widely used BSD-derived operating system in terms of number of installed computers, and is the most widely used freely licensed, open-source BSD distribution, accounting for more than three-quarters of all installed systems running free, open-source BSD derivatives. FreeBSD is a complete operating system. The kernel, device drivers, and all of the userland utilities, such as the shell, are held in the same source code revision tracking tree. (This is in contrast to Linux distributions, for which the kernel, userland utilities, and applications are developed separately, and then packaged together in various ways by others.) Third-party application software may be installed using various software installation systems, the two most common being source installation and package installation, both of which use the FreeBSD Ports system.